Capoterra is a town located in southern Sardinia, Italy and usually recognized as part of the metropolis Cagliari. Recently, this small town is getting more and more popular for its fast development in the tourism industry. 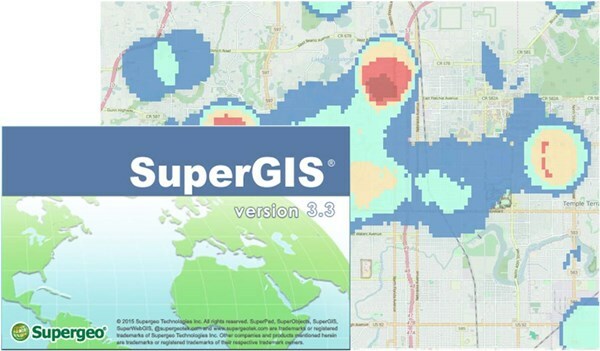 As one of the core GIS software designed by Supergeo product team, SuperGIS Desktop not only helps users to create, edit, and display spatial data, but also equips various capabilities for advanced spatial analyses. By using SuperGIS Desktop, local governments like Capoterra town government can easily integrate and manage public spatial data, such as the distribution of road networks, the street lamps, and other public works. And because the geospatial insight gained from GIS is powerful, users might find some trends simply by overlaying different data together. For example, GIS analysts can overlay the census map with the road networks and find that some highly-populated areas lack sufficient roads, which would lead to severe traffic congestions very soon. Therefore, the government should build new roads in these regions quickly to solve this foreseen problem.